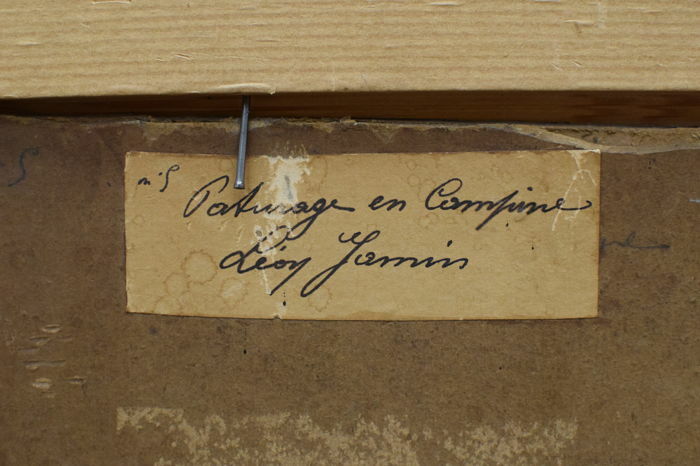 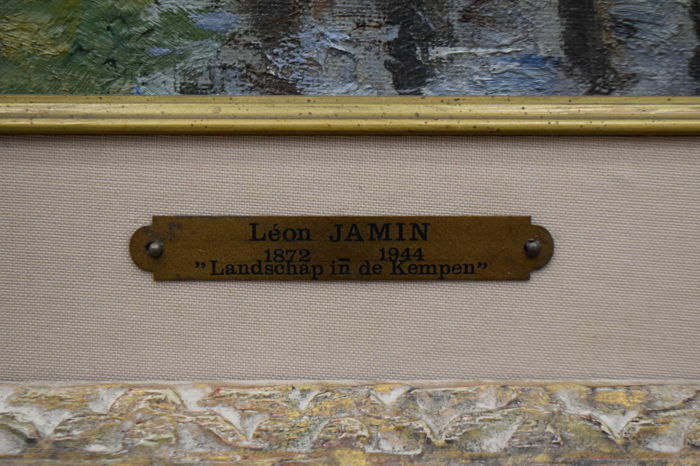 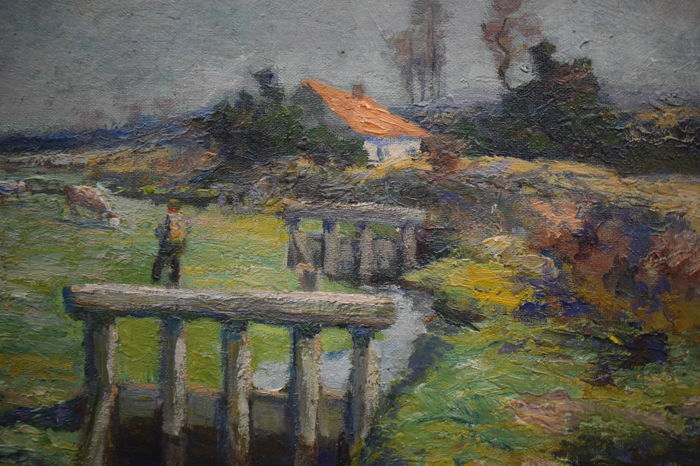 Leon Jamin (1872-1944) was sent to Genk to paint during his education at the Academy of Liège, by the then director Evariste Carpentier (friend of Coosemans). 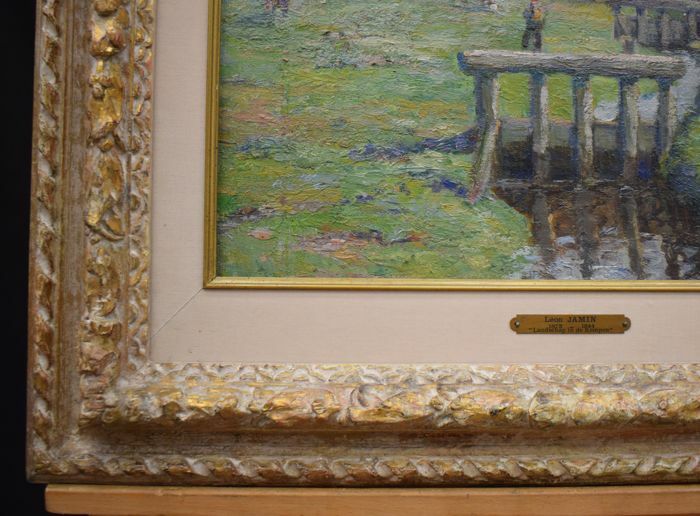 He painted landscapes, still lifes, portraits, and religious scenes. 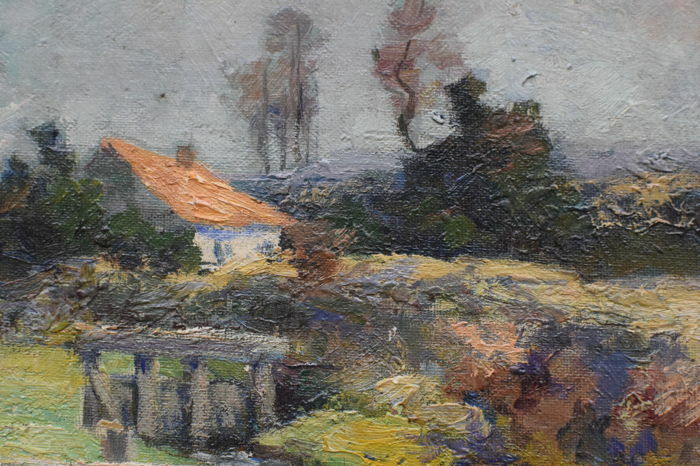 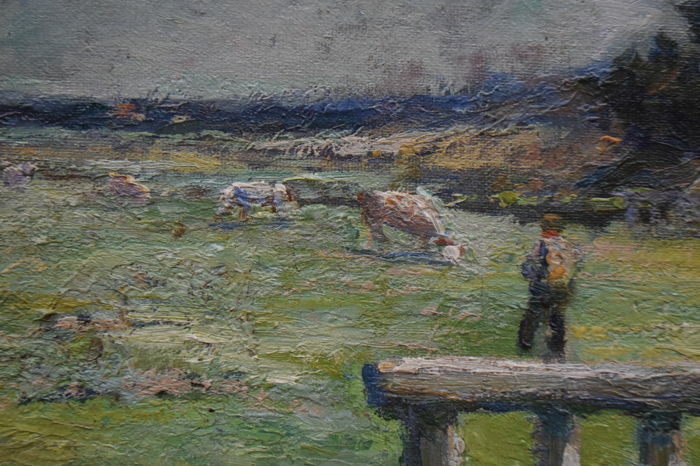 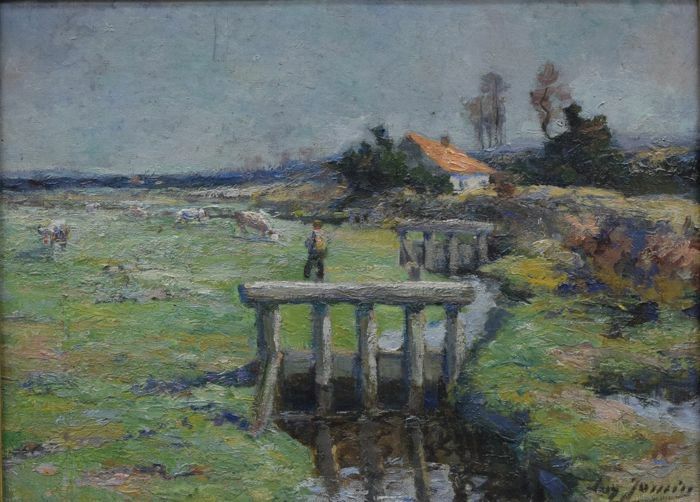 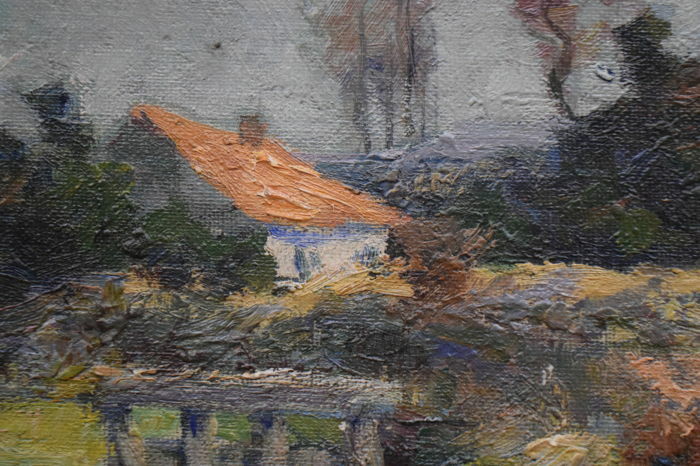 His landscapes from the Kempen and Ardennes were featured on various exhibitions (period 1920-30) in Brussels and Liège. 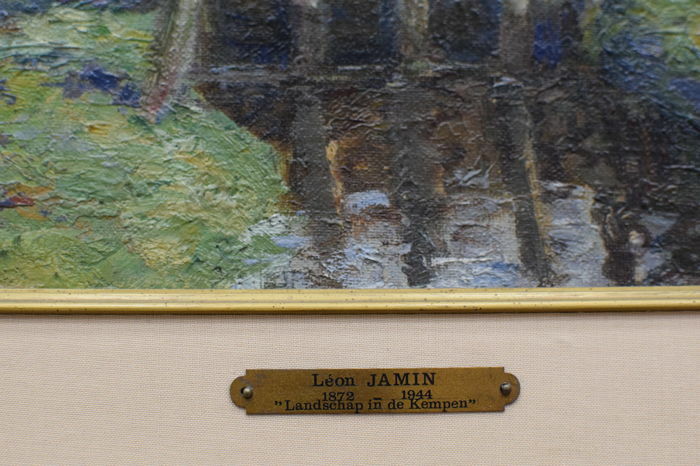 Leon Jamin painted in 1933 for the then chaplain Louis-Marie Jamin the triptych of the ‘Verschijningskapel’ to Banneux. 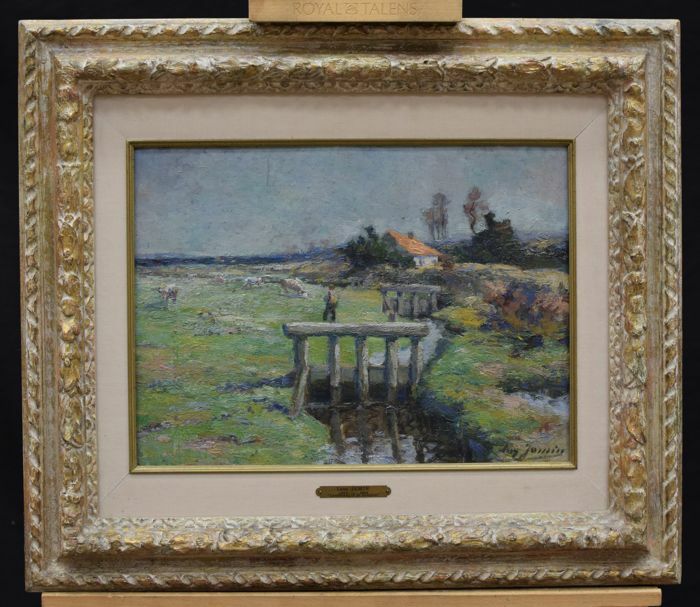 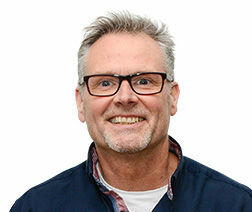 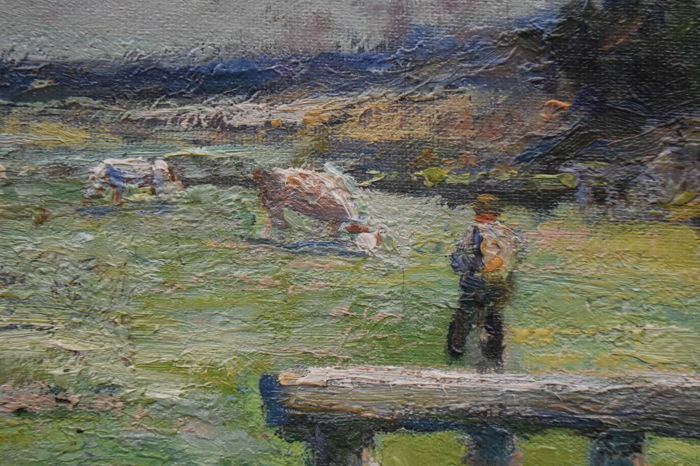 He is counted among the post-impressionist painters of Belgium. 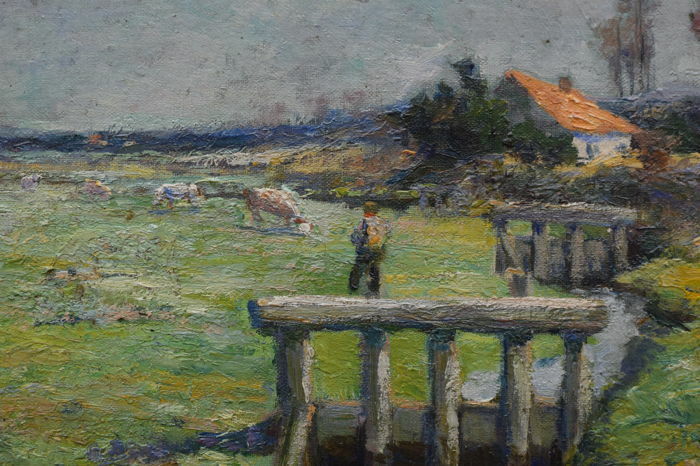 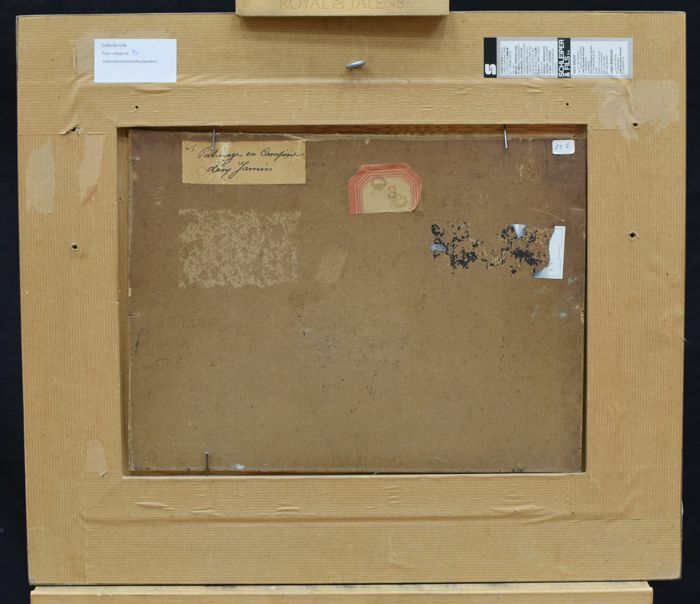 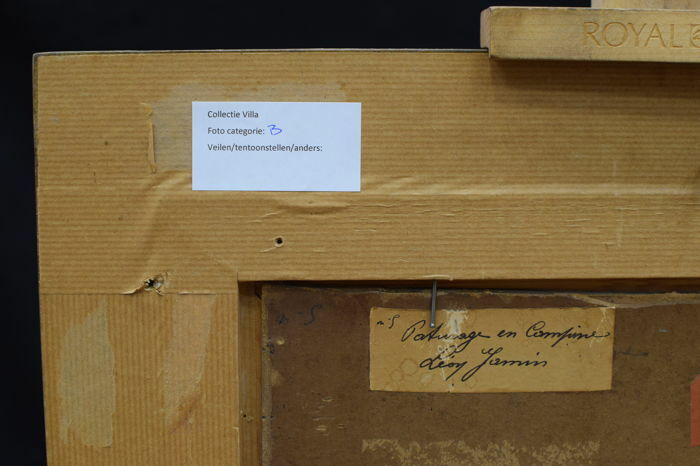 His work can by found, a.o., in the "Musée de l'Art Wallon" in Liège. 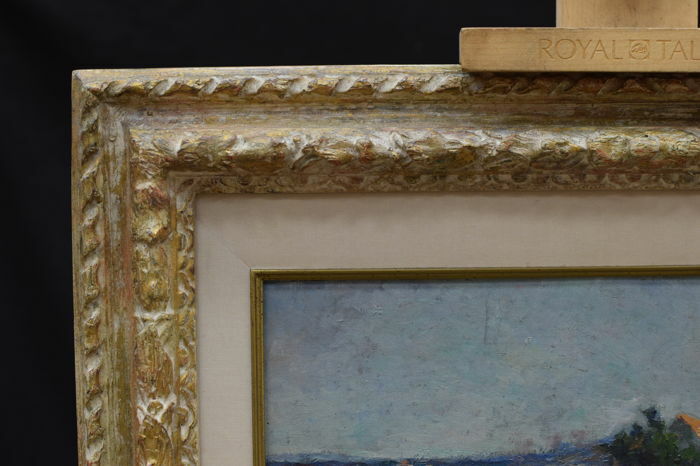 The work is framed in a handmade, gold-coloured ornamental frame. 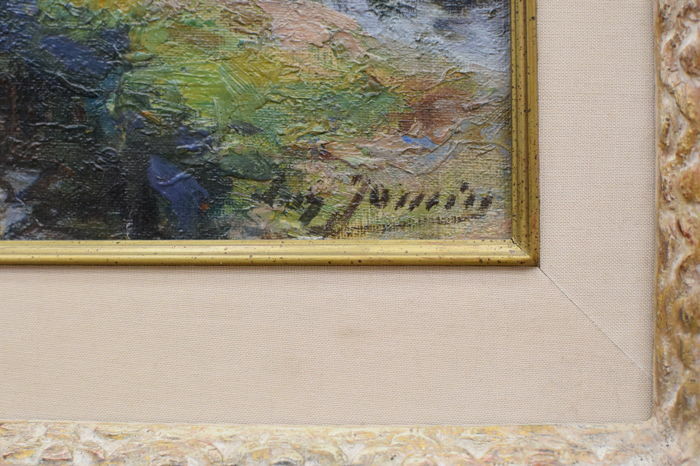 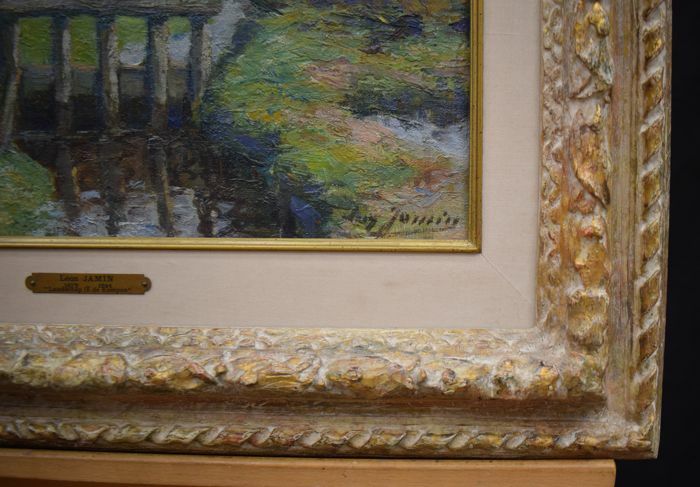 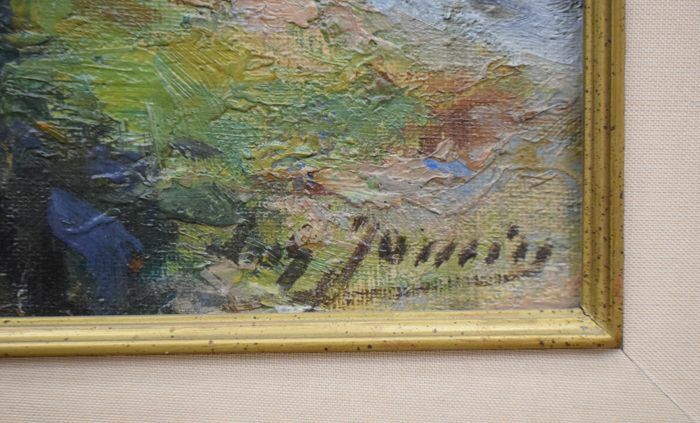 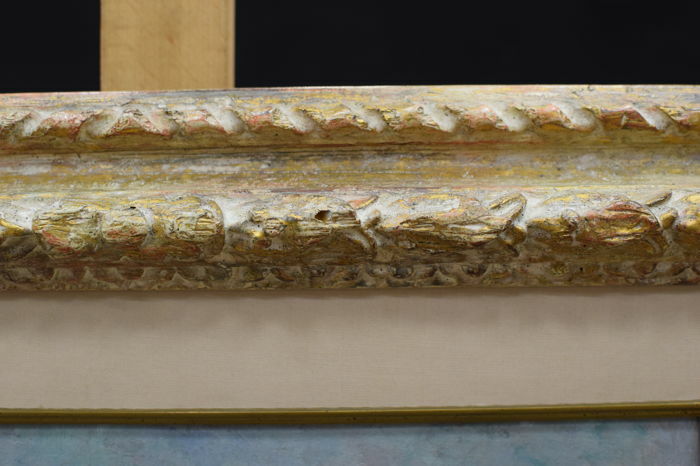 Details: the work of art comes from a Gallery collection.